Centro Plaza Shopping Center, in Nueva Andalucía, Marbella, is in a wonderful location on the Costa del Sol. This coastline offers a host of tourism options for visitors all year round: leisure, culture, sun, beaches, golf, etc. And it has excellent transport and road links enabling you to reach any part of the Costa del Sol quickly. You can enjoy a dip in the Mediterranean on more than 160 km of beaches, and a wonderfully sunny, gentle climate. Our warm, friendly people have made our region one of the most popular destinations for Spanish and international holidaymakers alike. The experience is so delightful that many visitors come back to Malaga year after year. We can highlight a few cities and areas whose populations double every summer thanks to their tourist attractions. 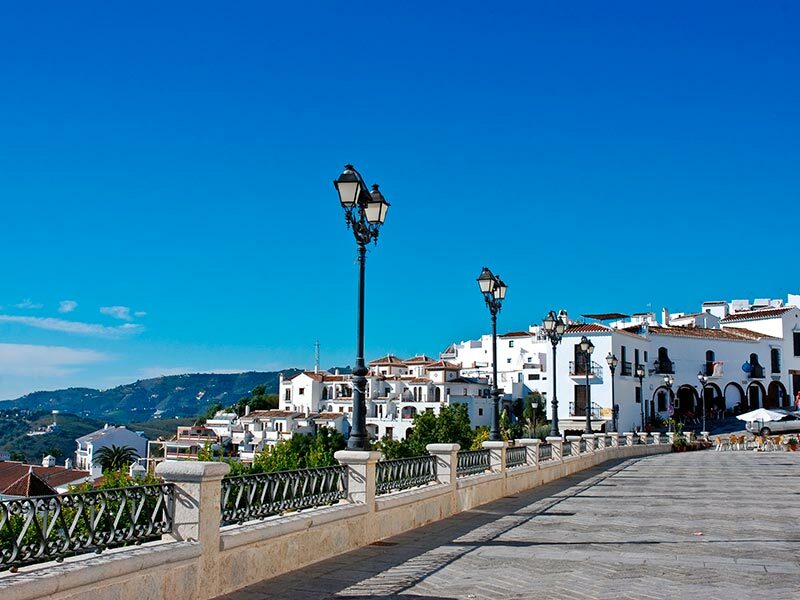 These include Malaga city, Marbella, Nerja, Puerto Banús and Mijas, which offer a huge range of cultural, artistic and tourism activities, with always something different to do. You can also visit very different landscapes and sights, from pretty inland villages with Arab fortresses and picturesque customs to the unique beauty of deep valleys, olive groves and dramatic mountain terrain, and of course the long coastline with its rich historic heritage: Mozarabic and Nasrid towers, lighthouses, beaches of dark or white sand and clean waters for swimming, fishing or diving. And of course, the Costa del Sol is also known as the Costa del Golf or Golf Coast for its many golf courses, world famous for their excellent infrastructure, the quality of their courses and their exquisite customer service. Centro Plaza is the ideal reference point for visitors taking part in activities anywhere on the Costa del Sol, where you can enjoy a moment of leisure and if you like, do business in an incomparable setting. Contamos con más de 20 sectores de atención y dos de ellos son la #decoración y la #arquitectura Estuco Interiors – Interior Design Marbella..